MY TRIP TO THE COMMON GROUND FAIR! seemed to taste the same but they didn’t have much salt. some went and got smoothies. I tasted my friends smoothie. THEY’RE ALL FEATHERS AND CUTE!!!!!!!!!!! HEY! If you are at the Common Ground Fair and have a spare moment or you are looking for something to do, you should go on over to the chicken barn and check out all the birds. There are big turkeys to little quails. If you want you could even buy a chicken! There are also some cool eggs you could look at that would make a yummy omelet. And sometimes there are even cute peeping chicks! When you’re in the chicken barn you may here a loud squawking noise which would most likely be a guinea hen. They might not look the cutest but they’re great for eating ticks and for alarming you when a predator is trying to eat them or your chickens. And my opinion is that the chicken barn is one of the best at the fair! So if you have a spare moment when you’re not busy looking at crafts or eating yummy fair food, you should stop by the chicken barn and check out all the cool birds! On September 21st, the Ecology Academy at THMS went to the Common Ground Fair. 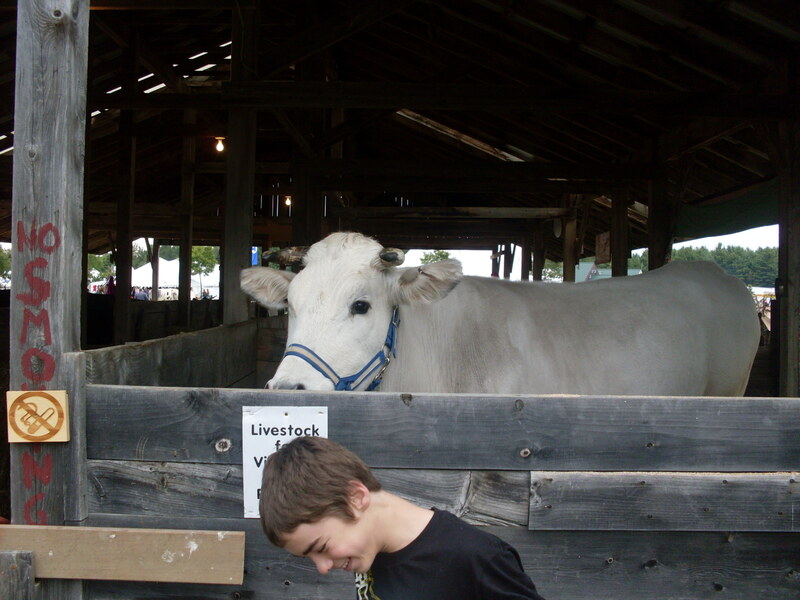 When we went to the Common Ground Fair, there was lots to see, but what I was really into seeing was the livestock. I really like animals, especially mammals and birds, so I checked out the cows, sheep, goats, rabbits, guinea pigs, chickens, ducks, guinea hens, and the turkeys. There were many stalls with large and small cows that ate hay, many different goats that were grouped together, and sheep that were either woolly or shaved. There was a barn with many rows of cages full of rabbits and guinea pigs that were many different colors and sizes. Another barn was full of birds, which were the many different breeds of chickens, striped and speckled guinea hens, ducks that were sitting in their cages, and large cages with even larger turkeys inside them. There were a lot of animals at the Common Ground Fair, and I am really glad that I was able to see all of them! The Common Ground Fair has a lot of stuff, from animals, to Maine-Grown organic foods, to a kid-zone with face-painting, and many more activities for them, to live-stock, and many others. The Troy Howard Middle School students of Ecology went to the Common Ground Fair on September 21st, 2012. Most of the food at the Common Ground Fair, is organic. Well, at least they try to make their food as organic as they can, and when possible. The Common Ground Fair organization people are on their 34th year of serving Maine-Grown and organic food. 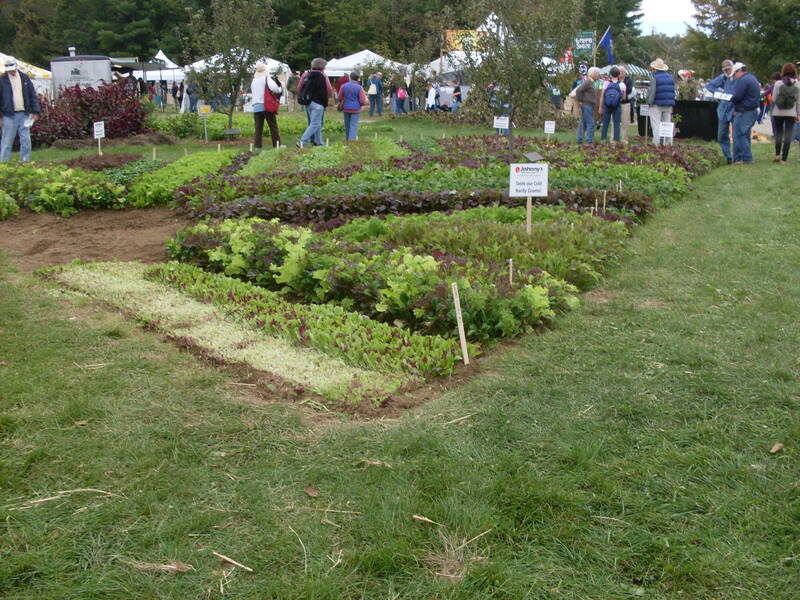 Over 90 percent of the food is grown, raised and processed in Maine. Some people prefer organic food while others don’t…like me. Some of the foods and drinks that are at the fair are: apple cider, lemonade, french fries, wood fired pizza, fried dough, and maple products such as maple syrup and maple candies. I think that the Troy Howard Middle School students had a really good time going to the fair and seeing all of the Maine-Grown organic products. So we went to the Common Ground Fair the other week and it was super fun! We got our faces face-painted. We looked at the bunny and poultry barns. Also we looked at sheep, lamas, horses, mules, and ate lunch. But it really got exciting when we went to watch the cow pulls. I asked all kinds of questions that I could think of about the cows and also I patted them. At the time I had a maple sugar candy in my hand and while I was patting one cow another cow came up behind me and do you know what he did? He ate my candy right out of my hand! (The cows’ name was Diamond). After that he licked his lips and snorted at me as if to say, “Thanks for the candy, sucker. Ha Ha Ha”. Everybody thought it was so funny (except for me) and then the cow came up behind me and started licking me and that’s when I started laughing! After that the Day settled down, and we went back to school. But I will never forget the day to the fair and a cow stole my candy! The food at the Common Ground Fair is just about all organic, from the apple cider to the pizza. There is a wide variety of food there, so you won’t have to worry about being a picky eater. My favorite out of all the food there would have to be a type of candy made purely from maple syrup, I call it maple candy. Though the most popular foods there were the french fries and ice cream, but I’d say pizza is a close third. The food is also all Maine grown, so the food is grown and made in Maine. 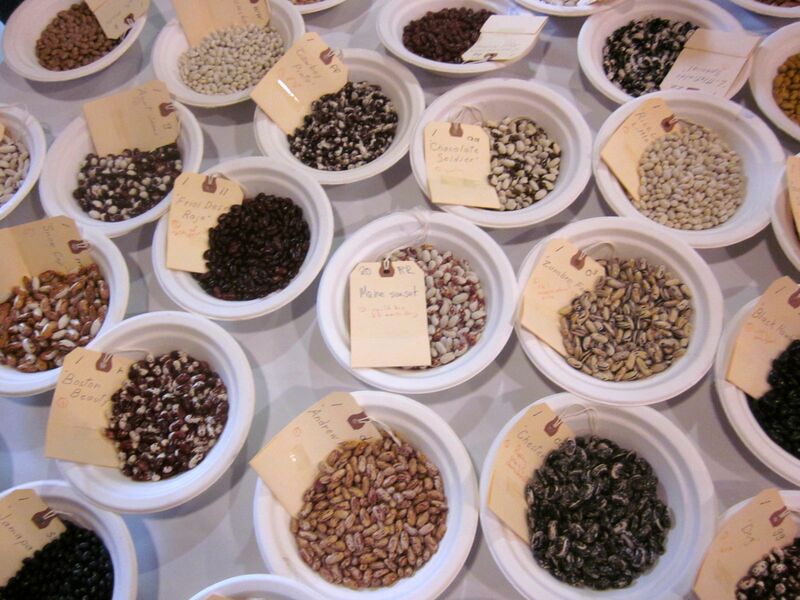 People who grow the vegetables for this food try to make them as natural as possible, feeding the plants fertilizer that doesn’t have any chemicals in it. The lines at the fair were pretty long, so the food had to have been good. Some food was unique and strange, like pie cones, ice cream cones with pie filling and whipped cream. At the Common Ground Fair food display competition we had a lot of types of produce that won ribbons. At the end of the day we went home with 30 blue, ribbons 30 red ribbons, and 20 yellow ribbons, with a total of 80 ribbons! We put a variety of produce in the contest, garlic, onions, pumpkins, squash, beans, watermelon, carrots, and lots of different kinds of tomato that won many different prizes! Although we won a lot of ribbons not all of our produce was favored by the judges, for example our onions I watched the judges judge our onions but they didn’t give us the best of scores. I think that all the other schools did a very good job too. Some schools had different produce than ours like Brussels sprouts. I think that the Common Ground Fair is a great experience for kids at our school and I look forward to hearing about future trips.